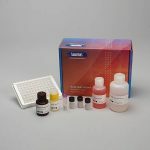 The Salimetrics Salivary Progesterone (P4) Enzyme Immunoassay Kit was specifically designed to standardize the detection of progesterone in saliva samples for research and biomedical laboratories. Using a small sample volume, this assay kit has an extended range that spans the expected progesterone levels found in human saliva. The average inter- and intra-assay precision coefficients of variation are low with no deleterious matrix effects often found in saliva which are characterized through dilution- and spike-recovery validation procedures. This progesterone assay kit has also been formatted to minimize cross reactivity for related steroids. Tuckey, R.C. (2005). Progesterone synthesis by the human placenta. Placenta, 26(4), 273-81. Strott, C.A., Yoshimi, T., Lipsett, M.B. (1969). Plasma progesterone and 17-hydroxyprogesterone in normal men and children with congential adrenal hyperplasia. J Clin Invest, 48(5), 930-39. Soules, M.R., Clifton, D.K., Steiner R.A., et al. (1988). The corpus luteum: Determinants of progesterone secretion in the normal menstrual cycle. Obstet Gynecol, 71(5), 659-66. Eppig, J.J. (2001). Oocyte control of ovarian follicular development and function in mammals. Reproduction, 122(6), 829-38. Veldhuis, J.D., Christiansen, E.C., Evans, W.S., et al. (1988). Physiological profiles of episodic progesterone release during the midluteal phase of the human menstrual cycle: Analysis of circadian and ultradian rhythms, discrete pulse properties, and correlations with simultaneous luteinizing hormone release. J Clin Endocrinol Metab, 66(2), 414-21. Junkermann, H., Mangold, H., Vecsei, P., Runnebaum, B. (1982). Circadian rhythm of serum progesterone levels in human pregnancy and its relation to the rhythm of cortisol. Acta Endocrinol, 101(1), 98-104. Shah, C., Modi, D., Sachdeva, G., et al. (2005). Coexistence of intracellular and membrane-bound progesterone receptors in human testis. 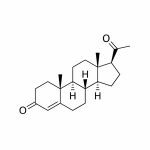 J Clin Endocrinol Metab, 90(1), 474-83. Djebaili, M., Guo, Q., Pettus, E.H., et al. (2005). The neurosteroids progesterone and allopregnanolone reduce cell death, gliosis, and functional deficits after traumatic brain injury in rats. J Neurotrauma, 22(1), 106-18. Stein, D.G. (2008). Progesterone exerts neuroprotective effects after brain injury. Brain Res Rev, 57(2), 386-97. Wagner, C.K. (2006). The many faces of progesterone: A role in adult and developing male brain. Front Neuroendocrinol, 27(3), 340-59. Ellison, P.T. (1993). Measurements of salivary progesterone. In: Saliva as a diagnostic fluid, Malamud, D., Tabak, L., eds. Ann N Y Acad Sci, 694, 161-176.